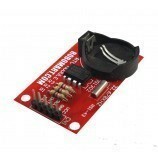 The DS1307 serial RTC is a low-power, full binary-coded decimal clock/calendar. The clock/calendar provides seconds, minutes, hours, day, date, month, and year information. The end of the month date is automatically adjusted for months with fewer than 31 days, including corrections for leap year. The clock operates in either the 24-hour or 12-hour format with AM/PM indicator. Completely Manages All Timekeeping Functions. Real-Time Clock Counts Seconds, Minutes, Hours, Date of the Month, Month, Day of the Week, and Year with Leap-Year Compensation Valid Up to 2100. 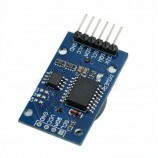 Simple Serial Port Interfaces to Most Microcontrollers. Low Power Operation Extends Battery Backup Run Time. 8-Pin DIP and 8-Pin SO Minimizes Required Space. 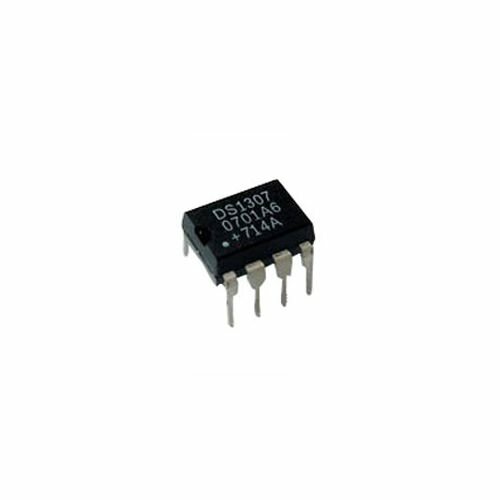 Optional Industrial Temperature Range: -40°C to +85°C Supports Operation in a Wide Range of Applications. 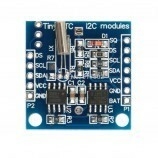 Also Searched as : ds1307 ic, real time clock ic, ds1307 arduino, ds1307 circuit, ds1307 pinout, ds1307 real time clock ic.